Watch Chicago Fire Season 4 Episode 22 online via TV Fanatic with over 6 options to watch the Chicago Fire S4E22 full episode. Affiliates with free and paid streaming include Amazon, iTunes, Vudu, YouTube Purchase, Google Play, and Verizon On Demand. 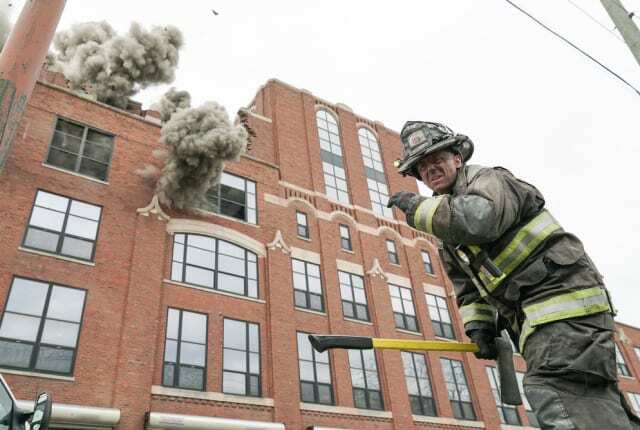 On Chicago Fire Season 4 Episode 22, when a building collapses trapping a dozen people, the team responds and Dawson continues on her quest to foster Louie.